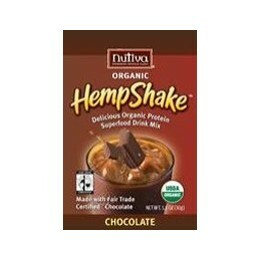 I’ve been wanting to try out some hemp shake mix so I recently picked up this packet of shake mix. 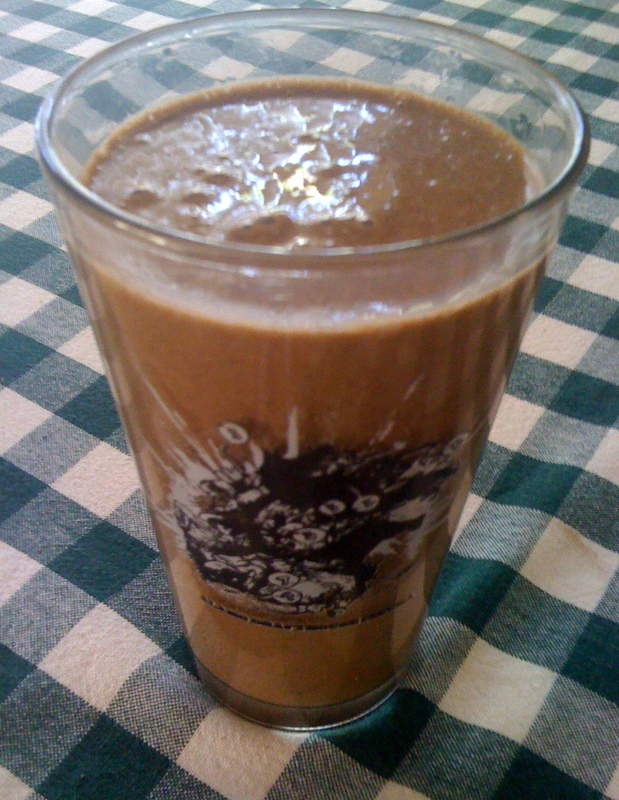 I mixed it with 1 1/2 cups almond milk and 1 frozen banana and here’s the result. I thought it was pretty good! Nice and thick and it had sort of a chocolate coffee flavor. 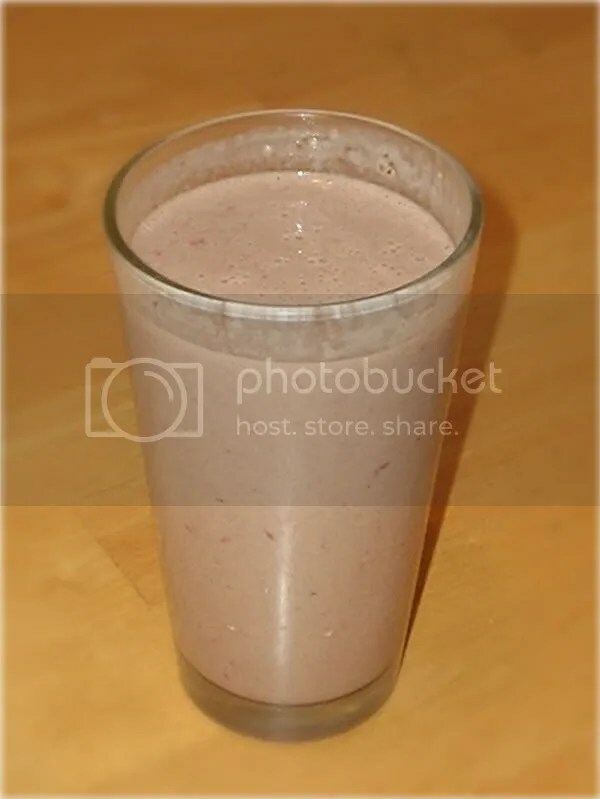 Strawberry and bananas are a favorite combination of mine and this smoothie was no different! Some have been wondering, if I make such good food for lunch and dinner, what do I have for breakfast? Well almost every day I have a soy protein shake. They are wonderfully delicious and nutritious. I use Whole Foods brand Soy Protein Shake in both chocolate and vanilla flavors. 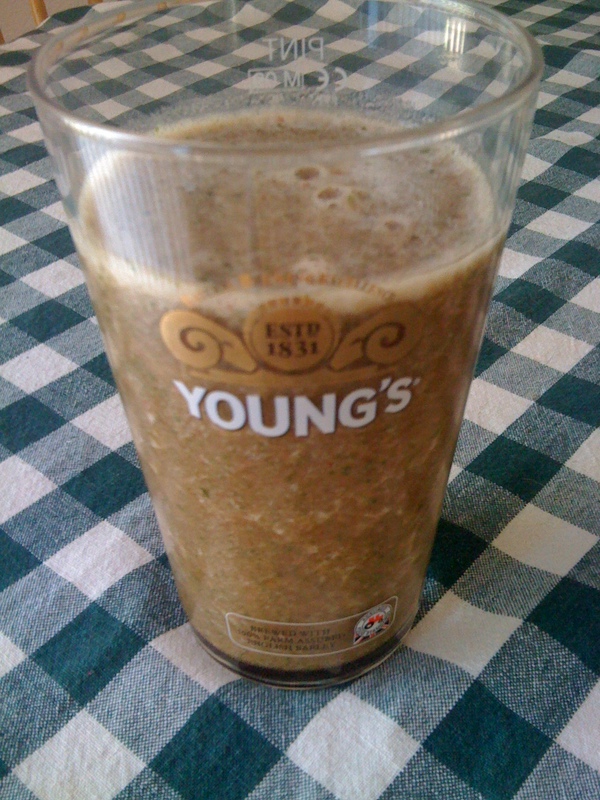 First I add some vanilla soy milk, then a banana broken into pieces, then half a scoop each of the chocolate and vanilla shake mix and blend well. Today I had some strawberries that needed to be eaten, so I threw a couple of those in there too.